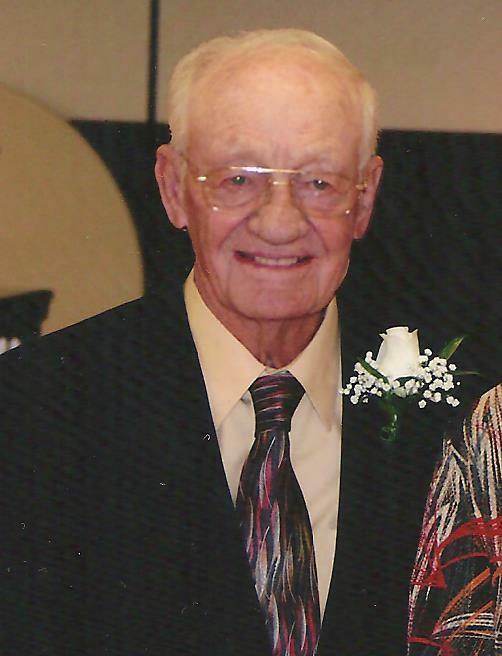 Albinus F. “Al” Hertel, 87, Hays, died Wednesday, April 4, 2018 at the Parkview Care Center in Osborne, Kansas. He was born February 17, 1931 in Munjor, Kansas the son of Peter A. and Amelia (Sander) Hertel. He was raised on the family farm east of Munjor and he and his brothers farmed the land with their father. On November 6, 1950 he was united in marriage to Lucy C. Lietz at St. Joseph Catholic Church in Hays. They celebrated over 65 years of marriage before she preceded him in death on April 30, 2016. Al not only worked on the family farm, he also worked several years in the summer months on a ranch near Chester, Montana. Later, he moved to Great Bend, Kansas working as a dozer operator for Wilkerson Tractor Co. As time went on, Al and Lucy moved their young family to Hays where Al worked for Rupp Motor Co. and the Farmers Co-op. He worked there at the time Interstate 70 was being built and the work crews brought tires in for repair by the truckloads. He was a master mechanic at Montgomery Ward Auto Center. During this period, he worked evenings with his vacuum truck that he put together in 1960, creating Al Hertel Pit Cleaning. He operated Al’s DX Service Station at 13th and Vine in the 1970’s, where his customer friendships grew and grew. In the late 70’s, Al added several vacuum trucks to his fleet and Hertel Tank Service was created. He was very proud of his equipment and that his sons could work by his side. The Tank Service continues today with the 3rd generation. While his trucks were being used in the oil field and industrial applications, Al created Hertel Oil Company in 1983. Through all this time, Al continued to farm and established JMA Farms in 1987. He loved the land and loved being diversified. He shared his kindness and his own blessings, always buying people meals, helping out stranded friends, and contributing time, talent, and treasure to the local catholic churches. He was a member of St. Joseph Catholic Church and a 3rd degree member of the Knights of Columbus Council #6984. Survivors include three sons; David and wife Virginia of Arvada, CO, Michael and wife Lori and John and wife Laura, all of Hays, a daughter; Kathy and husband Patrick Thrash of Eastvale, CA, three sisters-in-law,:Pat Lietz of Wichita, Aletha Hertel of Hays, and Anna Lessor of Great Bend, eight grandchildren; Christina Hertel and Stacy Kadota of Arvada, Lisa Hertel and Heath Ritchie of Westminster, CO, Michelle and Mike Schlyer of Hays, Craig and Mallory Hertel of Hays, Brett Hertel and Tara Hertel of Hays, Marc and Katy Hertel of Russell, Jill and Jake Schlegel of Shawnee, eight great grandchildren; Spencer and Caden Hertel-Kadota of Arvada, CO, Jenna and Paige Schlyer, Sophie and Mya Hertel, all of Hays, and Mary-Kate Hertel and Reese Owens, both of Russell. He was preceded in death by his wife Lucy, his parents, and four brothers, William and wife Regina, Clarence and wife Helen, Elmer, and Virgil Hertel.